2017 Metro Manila Film Festival promises to continue changes from previous year. 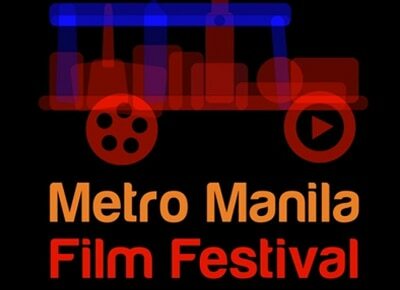 Inilunsad noong March 7 ang 2017 Metro Manila Film Festival o ang annual na pista ng pelikula na nagsisimulang mapanood sa araw ng kapaskuhan. Naging kontrobersyal ang 2016 MMFF dahil sa drastic change ng pagpili ng entries na nakasanayan ng commercial movies ang nakakapasok hanggang sa maging indie themed films ang binigyan ng priority. Ngayon, siguradong pag-uusapan muli ang inilabas na mga pangalan na bubuo ng Executive Committee ng MMFF kung saan kabilang sa listahan si Senator Grace Poe Llamanzares na former head ng Movie Television Review ang Classification Board at ang Representative ng Lipa at Star for All Seasons Vilma Santos Recto. Narito ang buong pahayag ng MMFF. Metro Manila Film Festival (MMFF) overall chairman Tim Orbos today announced the official launching of the 43rd filmfest this year, together with the new members of the Executive Committee. Orbos lauded concerned legislators and stakeholders of the movie industry for the substantial changes in the MMFF theme and thrusts last year. “We would like to thank the people who were part of the major changes that MMFF embarked in 2016 especially, Congress and the movie industry. Without them we would never be where we are now. Our moving forward in this new direction is a tribute to them. This new direction will also be reflected in this year’s choice of members of the MMFF Execom,” he said. According to Orbos, this year’s MMFF Execom members were thoroughly screened and vetted to get a much wider spectrum and cross cut from the movie industry – different stakeholders of the industry, academe, government, media, and private sector professionals. “We need to bring now our quality films to a bigger market. This is good for the industry, for our movie goers, and to the MMFF beneficiaries. To assure this objective will be attained, this year's Execom reflects respected personalities from the film industry,” he said. Among the appointed members of the MMFF Execom include Sen. Grace Poe-Llamanzares; Batangas Congresswoman Vilma Santos-Recto; Taguig City Mayor Laarni Cayetano representing the Metro Manila mayors; Police Director Oscar Albayalde, chief of the Philippine National Police - National Capital Region; Rachel Arenas, chairperson of the Movie, Television Review and Classification Board; Mary Liza Diño, chairperson of the Film Development Council of the Philippines; Wilson Tieng, president of the Movie Producers and Distributors Association of the Philippines; Jun Romana of the Bureau of Broadcast Services; Jesse Ejercito of the Philippine Motion Picture Producers Association; Marichu Maceda, chairperson of the Mowelfund; actress Boots Anson-Rodrigo; Victor Villegas, a film distributor; Edgar Tejerero, president of the SM Lifestyle Inc.; and lawyer Rolando Duenas, assistant general manager of the Ayala Cinemas. Poe-Llamanzares used to head the MTRCB while Santos-Recto is a veteran multi-awarded actress. Completing the MMFF Execom are Christina Caparas, general manager of Vista Mall Cinemas; Evylene Advincula, operations manager of Robinsons Movieworld; movie directors Jose Romero IV and Mel Chionglo; Rolando Tolentino, representing the academe; Ed Lejano, executive director of the Quezon City Film Development Commission; scriptwriter Ricky Lee; journalist and documentary producer Kara Magsanoc-Alikpala; professor and multimedia practitioner Noel Ferrer; and Chairman of the Optical Media Board, Atty. Anselmo Adriano. Orbos said best practices from last year will be adapted and further improved for a much better film festival this year. "We owe it to the movie-going public who untiringly supports the MMFF throughout the years." He said the substantial change in the MMFF last year would continue to be the standard this year, which is to produce quality and commercially-viable movies. "After the success of the 2016 MMFF where artistic quality became the main focus, this year’s MMFF would want to move forward with a crop of entries that would combine quality and box office potential. We will never abandon the artistic gains we had last year but we need to push forward in this direction,” Orbos said.